We are not seeing a bowl team tonight. And Glenn goes to his knees at the 2 to catch the kick-off. Just shoot this game in the head now. We don't have a bowl team. I don't know how you recruit around this. USF, Memphis, and Cincy coaches will no doubt be making calls to Miami this week. Being a Tulane should NOT be this difficult. Really. Yeah I'm done for the night guys. I already had to deal with the Nationals choking again this week so this is just brutal. Guess we still are the same old Tulane. Maybe we will pull out a miracle. And what a glorious choke it was. Sorry, outlaw, not a Nats fan. When you look at all the upsets around college football, this is not surprising. We cannot just show up and win. We all want this program to turn the corner so badly but we are so one dimensional on offense and if that isn't clicking, our defense is not deep enough to stay on the field all night. We need to be able to pass the ball. Until that happens, we will not be able to win like we hope. Hopefully we can get the passing game clicking in this final quarter. Just left a friend's wedding reception. What did I miss? NOW DO SOMETHING! Good. Do something good. 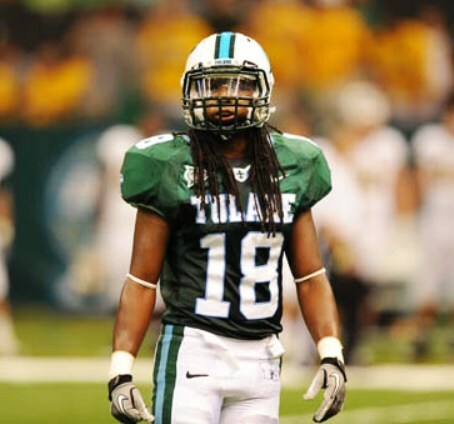 For Tulane. This is sad and humiliating. I should be used to it and in previous years a game like this would be typical and I'd write it off as another step toward getting rid of our coach. But this is different. I'd bought in. I truly thought last week was the corner being turned. I'm just stunned by this. And really mad. FIU is stopping us better than Oklahoma did... By a LONG way. We can do nothing against FIU. It's completely baffling and depressing. Worse than 3 and out. Turnover. Got our a$$ handed to us by one of the worst teams in the country. You sure it isn't on the O Line big boy?